Heat oven to 375°F. Spray 12x8-inch (2-quart) glass baking dish with nonstick cooking spray. 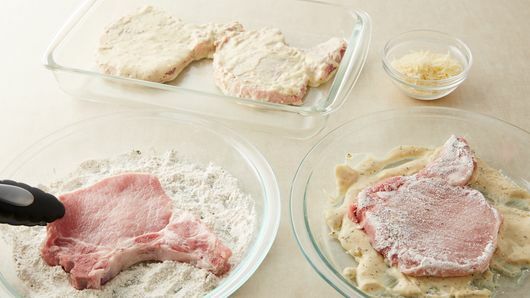 In pie pan or shallow dish, combine flour and Italian seasoning; mix well. Pour salad dressing into another pie pan or shallow dish. 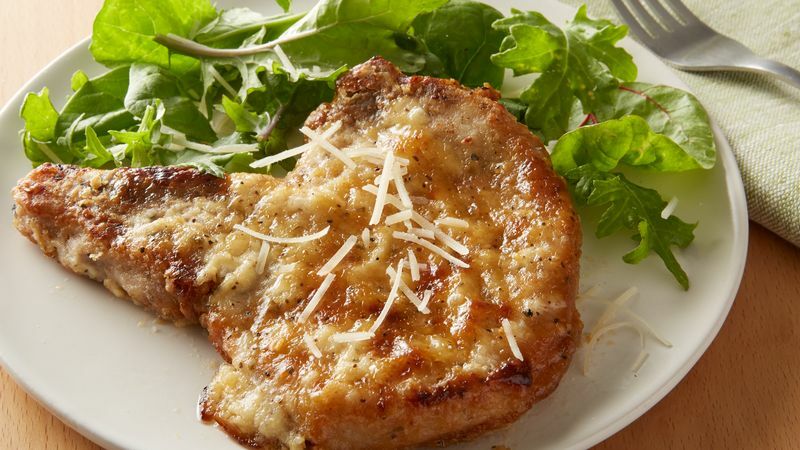 Dip both sides of pork chops in flour mixture, coating well. Dip in salad dressing, coating well. Place in sprayed baking dish. Sprinkle with cheese. 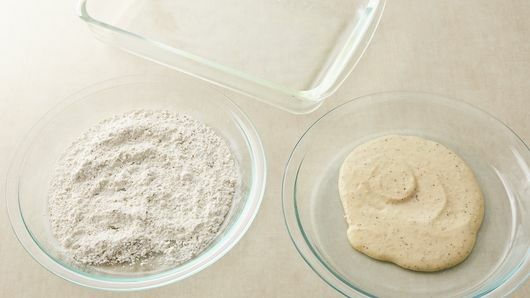 Discard any remaining flour mixture and salad dressing. Bake at 375°F. for 35 to 40 minutes or until pork is no longer pink in center.